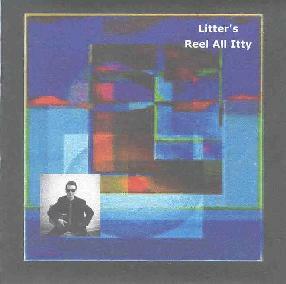 Lord Litter - "Litter's Reel All Itty" / "Stone Premonitions Presents Lord Litter"
These two collections of songs from German musician, radio show host, and underground figure Lord Litter are essentially the same, just on different labels. The Harsh Reality issue contains 16 tracks and the Stone Premonitions version has 13, 10 of which are also on the Harsh Reality release (the Harsh Reality disc being a re-release of an earlier cassette). The Stone Premonitions version has apparently been remastered and the sound quality is better, though for the most part I'd say you're safe choosing dependent on which side of the big pond you're ordering from. As for the music... well I can't imagine a more radical diversity of styles than those included on these discs. There's a lot of songs here so I'll focus on the freakier tracks. "Excerpt From A Harsh Reality" is a brief noise freakout that opens the disc. "The Soft Synthed Duck" is a jazzy cosmic synth tune with some trippy spacey bits. The playing is pretty good and establishes a cool groove, though the overly mechanical electro percussion is an odd contrast. "Faktor X" is a heavy driving metallic instrumental with bits of surf and psych. VERY cool. And "The Return Of The Magnificent Space Captain" is a heavy rockin' space blues number and my hands down favorite track on the disc! "Time Shift" is a bit of an oddball track. On the Harsh Reality discs it consists of 17 minutes of guitar noodlings. If he's mocking Fripp's soundscapes than I think I like it. But it doesn't really go anywhere and seems a bit odd given the strength of the other tracks. The last few minutes, however, take a 360 degree turn becoming a psychedelic Dylan folky tune. The version on the Stone Premonitions release is only about 9 minutes, and cuts out the song portion at the end, but even then it doesn't quite cut it for me. His Lordship also has a flair for fun novelty tunes as heard on "Pleasin' Lies", "The Easter Bunny", and "The Happy Snail". "Pleasin' Lies" is a standout with its raw stinging guitar licks. And do you remember Bill Murray's lounge singer in the 70's Saturday Night Live shows? I think Lord Litter has seen those too as evidenced by "Thank You For The Roses". "Robertism" is a dancey rocker with a groove. A bit New Wav-ish and actually it reminds me of Talking Heads. A damn good tune. "Another Reality" is another fine New Wav-ish rocker. "Open Up The Gates" is a bit on the quirky side, being like Devo as a metal band. And it's got a melody that really grabbed me. There's lots of other stuff from folk to dance to rock, but overall this is just a cool set of tunes. There's certainly no new ground broken here. But there's variety, good songs, interesting music, and lots and lots of fun. 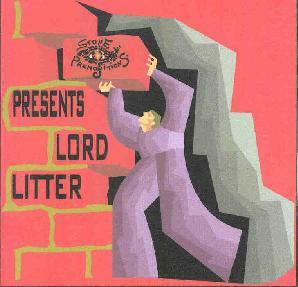 You can visit Lord Litter at his web site. For more information on Stone Premonitions Presents Lord Litter you can visit the Stone Premonitions web site.